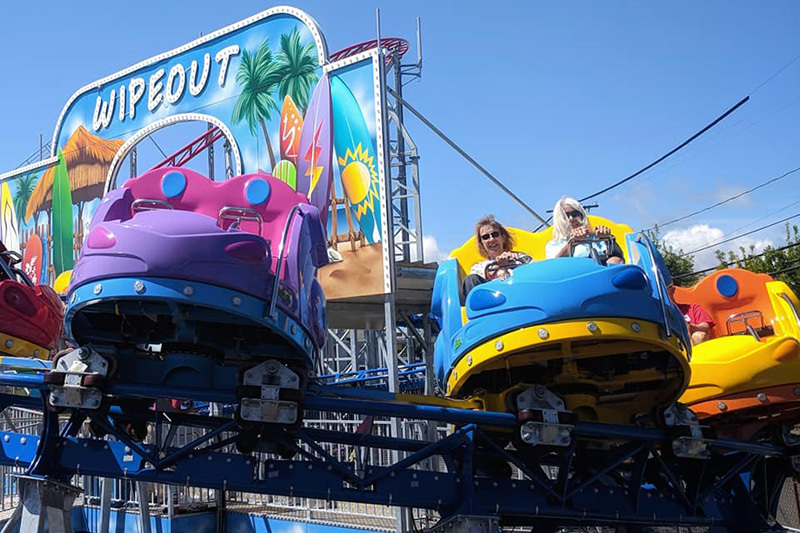 New for the 2018 season at Palace Playland, we welcome our SECOND coaster opening of the summer with WIPEOUT! This compact spinning coaster features a figure eight track with free spinning cars. Come test out this unique riding experience like no other! It's finally here, the Grand Opening of Sea Viper scheduled for June 2018! 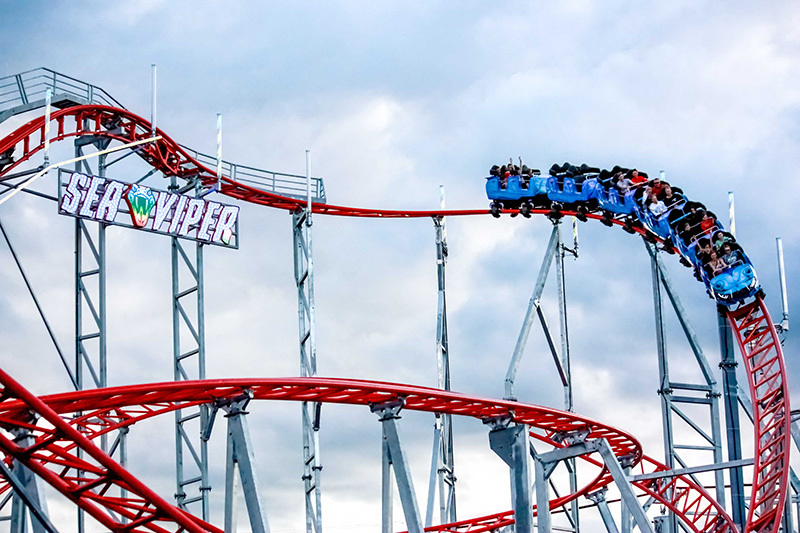 Engineered in Italy by Preston & Barbieri, our Sea Viper Roller Coaster boasts a max height of 70 feet and speeds up to 44 mph! With our Ferrari Red track, you can't miss this massive addition to Palace Playland!